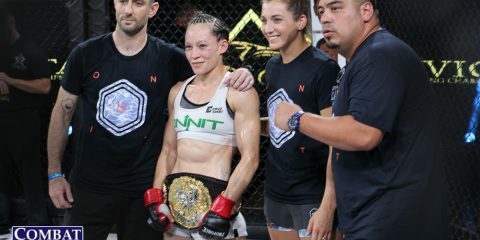 Another season of The Ultimate Fighter is nearing an end, and it’s not the coaches nor the finalists that are really making the TUF: Redemption Finale an interesting event. In fact, minus the fact that Michael Johnson is a former TUF contestant, the main event is not related to the show at all. 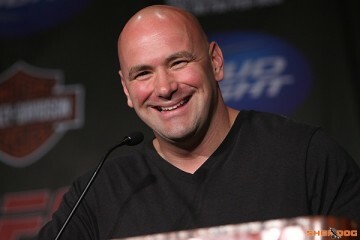 It is, however, a headliner that will draw a ton of attention from the UFC lightweight division and MMA fans. On Friday night, former World Series of Fighting lightweight champ Justin Gaethje makes his long-awaited arrival to the UFC, bringing with him a crispy clean 17-0 record. 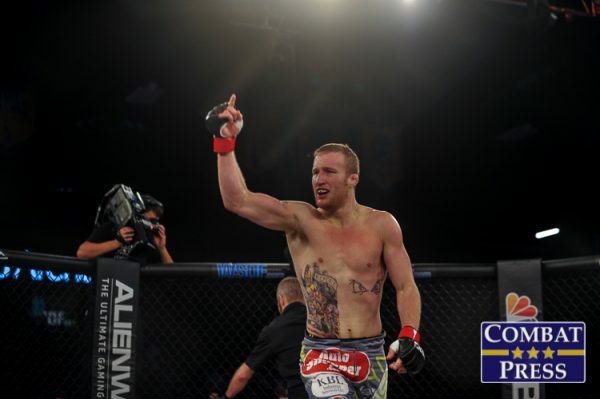 Gaethje has been the one and only WSOF lightweight champ for the last three and a half years, and, with the recent re-organization into the Professional Fighters League, he found himself in an opportune moment to make the leap to the big show. Gaethje, as well as many analysts, have long felt he is one of the best lightweights in the world, so the fifth-ranked Johnson is more than happy to welcome him to the Octagon. Johnson is coming off a third-round submission loss to top-ranked Khabib Nurmagomedov at UFC 205 in November. Seeking to stay in the top five, Johnson badly needs this win, as he attempts to show the world that Gaethje is not UFC material. 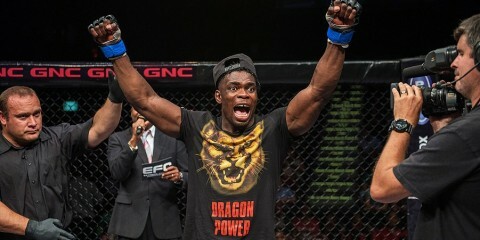 While the former WSOF champ finishes almost every fight by knockout, Johnson is no slouch on the feet either, so this could turn out to be a great fight for the fans. 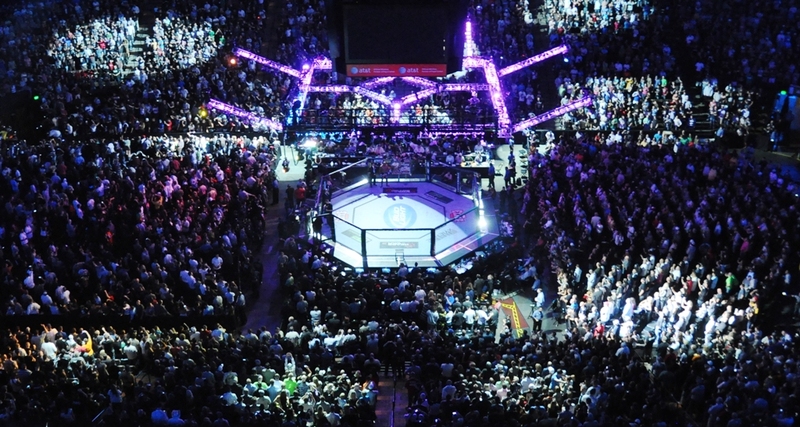 The co-main event features the finals of season 25 of TUF. As it stands today, Dhiego Lima, who became the first person in history to reach a TUF finale twice, will face the winner of the James Krause/Jesse Taylor showdown, which is currently set to air on Wednesday night. However, it is still not known whether Krause will be cleared to fight, as he suffered a scratched cornea in his quarterfinal fight with Ramsey Nijem. In the case that he will not be cleared, someone from Team Cody Garbrandt will get a second redemption shot on Wednesday night. Rounding out the main card, we have a battle of undefeated fighters Marc Diakiese and Drakkar Klose, big light heavyweights Jared Cannonier and Steve Bosse collide, a middleweight showdown between TUF veterans Elias Theodorou and Brad Tavares, and Jordan Johnson facing Marcel Fortuna, as both fighters are coming off wins in their UFC debuts earlier this year. The TUF 25 Finale takes place at the T-Mobile Arena in Las Vegas on Friday, July 7. 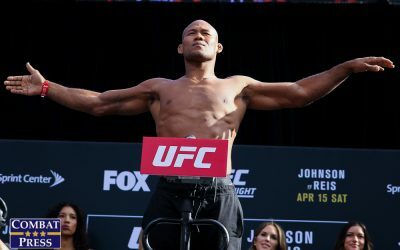 The UFC Fight Pass preliminary card starts at 6 p.m. ET, with the Fox Sports 1 prelim and main cards starting at 7 p.m. ET and 9 p.m. ET, respectively. Combat Press writers Bryan Henderson and Dan Kuhl break down the action in this edition of Toe-to-Toe. Following a long and successful run outside of the UFC, Justin Gaethje arrives inside the Octagon at the TUF 25 Finale and takes on Michael Johnson. Will Gaethje make an immediate impact on the UFC’s lightweight division? Gaethje is quite the unique UFC newcomer. He’s a longtime World Series of Fighting lightweight champion who enters the Octagon with 17 wins and not a single loss. 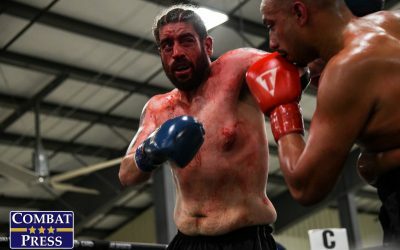 Along the way, he’s claimed the scalps of such notables as Gesias “JZ” Cavalcante, Dan Lauzon, Nick Newell, Melvin Guillard, Luis Palomino (twice), Brian Foster and Luiz Firmino. The 28-year-old phenom has 14 wins by some form of knockout. He’s dangerous and quite capable of mixing it up with the very best the UFC has to offer. That’s where Johnson comes in. 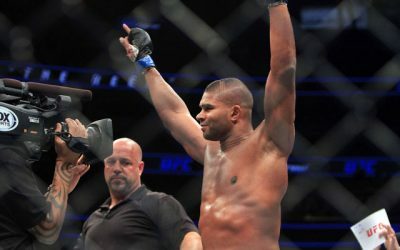 A member of The Ultimate Fighter 12 cast, Johnson has had an up-and-down career since graduating from the reality show to the UFC’s roster. He lost the TUF finals to Jonathan Brookins, but he’s turned things around to become the No. 5 lightweight in the UFC’s own rankings. 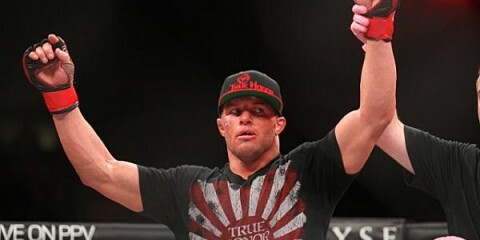 While he did suffer losses to Paul Sass, Myles Jury, Reza Madadi, Beneil Dariush, Nate Diaz and Khabib Nurmagomedov, Johnson has also conquered Tony Ferguson, Joe Lauzon, Gleison Tibau, the aforementioned Guillard, Edson Barboza and Dustin Poirier. The guy is good, but he’s a beatable type of good. Gaethje is accustomed to firefights, but he also tends to be the longer banger in these contests. 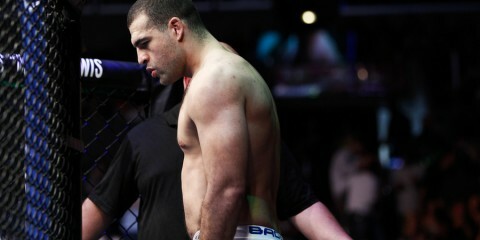 While he is an inch taller than Johnson, he gives up three inches in reach to the Blackzilians fighter. Johnson provides Gaethje with a strong and well-respected opponent, and an opponent who fares quite well in the stand-up — Johnson has never been knocked out. Gaethje could either deliver Johnson’s first knockout loss, or the WSOF champ could outwork the UFC vet en route to a decision nod. Either way, Gaethje will announce his presence in the UFC with an impressive showing. Kuhl: Gaethje is the real deal, plain and simple. He didn’t just come out of nowhere, either. 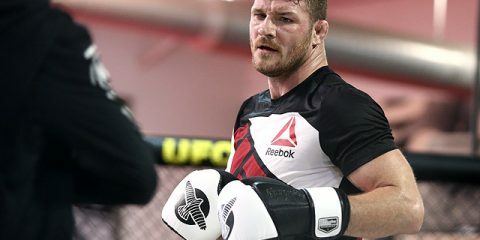 He’s been there the whole time, lurking in the shadows, waiting to wreck a lot of chances — and legs — in the UFC, and wreck a whole lot of careers along the way. His pedigree is a lot scarier than some may think. He’s an NCAA Division I All-American wrestler who has gone undefeated as a professional MMA fighter. In addition to his 14 knockouts, he has one submission victory and arguably more leg-kick finishes than anyone in history. In fact, his leg kicks are so devastating, he could easily be considered the Rousimar Palhares of striking. Johnson is obviously a UFC veteran and by no means is he an easy fight. However, he hasn’t faced a striker as devastating as Gaethje, with the exception of Barboza. Gaethje has an amazing takedown defense, and Johnson’s ground game is not at the level of a black belt in submission grappling, so this is a great match-up for the promotional newcomer. I’m guessing Johnson will come in with a high level of confidence. 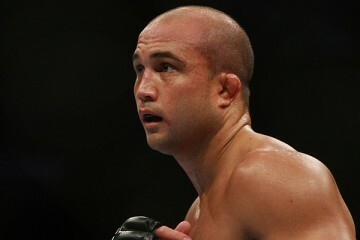 He should, as a top-five fighter with plenty of UFC experience. However, Gaethje is a guy that always comes in with an underdog mentality. He’s finally where he should be in the upper echelon of lightweights. The UFC lightweight division is going to get a new title contender. The Ultimate Fighter: Redemption gave us a strong run from Tom Gallicchio, but ultimately has led to a showdown between Dhiego Lima, who beat Gallicchio in the semifinal round, and Jesse Taylor/James Krause. Who wins the finals? Which other TUF 25 fighters deserve to stay in the UFC? Kuhl: First off, I’m not buying the whole scratched cornea of James Krause as something that could sideline his chances of competing in the semifinal round. I also do not believe Taylor will best him. Obviously, there are plenty of people out there who already know the outcome, but I have Krause taking it all, which was my prediction at the beginning of the season anyway. 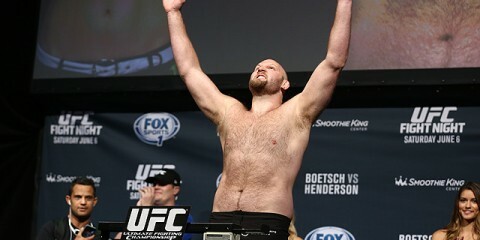 Krause is one of the actual UFC vets in the group. He’s a very well-rounded fighter, and he’s also a Brazilian Jiu-Jitsu black belt, so he is very comfortable on the ground. Taylor has had some serious problems getting submitted, which is what happened in all six of his losses in the last three years. After Krause gets through Taylor, he will face Lima in the finals, and that, too, is a great match-up for Krause. Lima has been knocked out four times in the last three years, and only has one finish of his own in the last five years. Barring any hiccup due to this eye thing, Krause could not have asked for a better path to becoming the next Ultimate Fighter. This is not taking anything away from Taylor or Lima, but there is a reason why Krause was the only fighter on the show who already had a UFC contract. Henderson: In that last sentence, my colleague summed it up perfectly. Krause came into the TUF competition as a rostered UFC fighter. Taylor and Lima did not. Krause has proved his worth on the reality show with a submission finish of Johnny Nunez and a decision win over Ramsey Nijem. 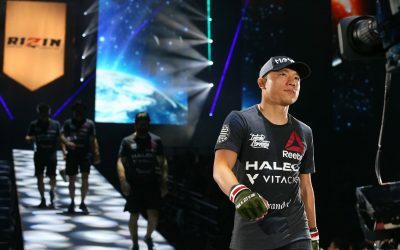 He’s a solid competitor who is actually on a two-fight winning streak in official UFC action, where he submitted Daron Cruickshank and decisioned Shane Campbell before dealing with injuries that forced him to the sidelines. Overall, Krause is just 4-3 inside the UFC, but that’s better than Lima’s 1-3 Octagon record or Taylor’s 0-1 mark. 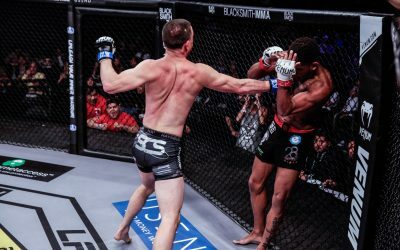 Diving deeper into the records of Lima and “JT Money,” we have a fighter (Lima) who lost in the first round of a Titan FC title bout against Jason Jackson and another fighter (Taylor) who has landed in the grasp of submissions from Maiquel Falcão, Borys Mańkowski, Aslambek Saidov and Mukhamed Berkhamov since the start of 2015, and suffered submission defeats from Dave Branch and Trey Houston to close out his 2014 campaign. Taylor and Lima are good fighters, but they’ll struggle at the UFC level. Krause, meanwhile, has posted a winning mark inside the Octagon. I, too, pick him to get past Taylor and keep on rolling at Lima’s expense. Who else from the TUF 25 house deserves another look inside the UFC? Well, considering this was a “redemption” story, it’s a hard climb for any of these guys. However, Gilbert Smith has had a ton of success in the high-level regionals and wouldn’t be a bad choice. Gallicchio’s run on the show makes him another prime candidate. Who’s the biggest winner at the TUF 25 Finale? Henderson: Justin Gaethje. I’ve already touched on it, but this is a top-ranked lightweight making his UFC debut against a formidable, but totally beatable opponent in Michael Johnson. Gaethje has been served up the quick road to the top of the UFC’s lightweight division, and he should take full advantage. Kuhl: I completely agree. Gaethje is, by far, the biggest winner here. I’ve spoken with Gaethje on several occasions, and he always enters every fight with the mentality that he’s the underdog, so I do not expect any jitters for his UFC debut. Gaethje takes this one and immediately enters the upper echelon of the division. Who’s the biggest loser at the TUF 25 Finale? Kuhl: Let’s just say that if I was Juliana Lima’s manager, I would have tried to get more of a top-15 match-up than a top-five pairing. The problem is that the strawweight division is so stacked that it’s kind of slim pickins’ in the top 15. Don’t get me wrong, a win over Tecia Torres would be huge, but anything else will leave Lima out of relevancy as she approaches age 36. With Torres entering the contest as a huge favorite, this could spell trouble for Lima’s future. Henderson: Gray Maynard. Every fighter should get to decide when they call it a career, but do we really need to see this former lightweight contender put his health on the line again? And for what? 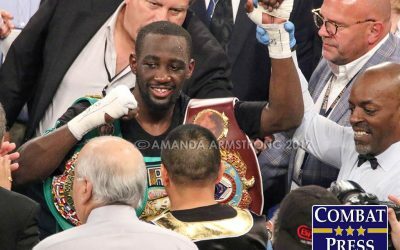 He’s light years away from the title picture at this point, while fighting near the bottom of the card. Since the start of 2013, Maynard has posted an abysmal 1-5 mark. While his early losses in this stretch came to T.J. Grant and Nate Diaz, he’s now suffering losses to the likes of Ross Pearson, Alexander Yakovlev and Ryan Hall. In the last four years, he’s only managed to defeat Fernando Bruno. Maynard’s foe, Teruto Ishihara, has a knack for scoring the knockout. Maynard’s chin is about as fragile as they come these days. This isn’t a good combination, and it’s certainly not a fight that favors Maynard. Henderson: The lightweight scrap between Marc Diakiese and Drakkar Klose. 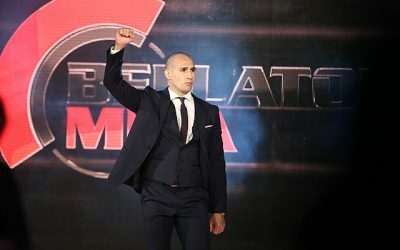 The last time Diakiese entered the Octagon, the fight only lasted 30 seconds and ended in fireworks, delivered by Diakiese against Teemu Packalen. How can the 24-year-old Diakiese follow up that performance? Well, we get to find out this weekend when he meets Klose, an American fighter with four knockout victories of his own. This fight has the potential to deliver some great exchanges on the feet, assuming Diakiese doesn’t end it with one quick flurry. Kuhl: There was a time — think 2011 to 2012 — when an Ed Herman/C.B. Dollaway showdown would have been a top-three fight on any card, if not a headliner. This time around, Herman hasn’t fought in a year and is coming off a loss, and Dollaway is coming out of a 17-month layoff, due to a freak injury, which was preceded by three losses in a row. When you have two well-rounded vets backed into a corner, the proverbial fireworks are sure to fly. This should be an action-packed brawl that likely won’t go the distance. Kuhl: Honestly, this card is going to be a great one. There are so many good match-ups, including vets, up-and-comers, undefeated fighters and knockout artists, that I’m going full-blown tomahawk ribeye, medium-rare, and I’m gonna hold it like a cavemen and eat it right off the bone. Henderson: Any leftover fireworks. We’ll be just a few days past the Fourth of July holiday when this card kicks off. It’s going to be full of big bangers, too. Justin Gaethje and Michael Johnson are primed to deliver in the headliner, but be prepared for some full-out explosions in other bouts on this card, including Marc Diakiese’s match-up with Drakkar Klose, the showdown between Steve Bosse and Jared Cannonier, and the light heavyweight scrap between Jordan Johnson and Marcel Fortuna.